PageRank is still important in Google search engine rankings, yet I come across many people giving out misleading details about PageRank (PR) that it doesn’t hold any importance and Google ignores PageRank in its ranking algorithm. But I see it as something that is some kind of SEO misinformation being spread across the web, even long time bloggers claim that it has no value anymore and its useless. Here are some of the truths about SEO and PR that you need to know on why it still holds some value when it comes to your SEO campaign. It’s an undeniable fact that higher PageRank sites carries more authority than lower PR ones, meaning Google has some trust over these high PR sites. Higher PageRank sites are crawled more often and also indexed more rapidly than lower PR sites. Also the High PR sites are crawled more deeply and this is a proven fact and not an SEO myth. 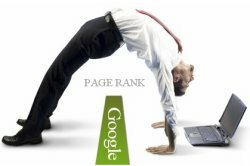 As I mentioned before high PageRank sites carries more authority so links from a higher PR site will have more value than a link from a low PageRank site and chances are that you may rank high and also pass the Google sandbox by building links on them. I know many of you may not agree with this point, but both directly and indirectly, when you build your links on a higher PageRank site it holds more value and also when you have a high PR site it means you are already holding some authority, they may not play a big role in ranking but still it does play a considerable role. When you want to buy or sell a website or a domain, PageRank is still taken as an indicator and higher PageRank domains and sites holds more value than lower PageRank sites. Try selling a PR0 domain and see how much you get, there’s intrinsic value to Pr to other webmasters.